The incident left at least 11 people injured, with eight hospitalized in stable condition, Nino Mamaladze, a Georgian ministry of health official,told ABC News. Images of the accident’s aftermathshow a pile of mangled carriers near the chairlift terminal’s base. Mountain Resorts Development Co., a state-run company, said in a statement that the “Sadzele ski lift in Gudauri stopped working, chairs crashed into each other with riders suspended in the air, causing health injury of medium gravity,”according to CNN. Georgia Health Minister David Sergeenko said that thevictimswere of Georgian, Swedish, Ukrainian and Russian citizenship, including one pregnant Swedish woman,according to multiple reports. One Ukrainian citizen broke his hand and has a head injury, while the pregnant woman had “pain in her waist,” Sergeenko said,according to the Telegraph. The woman and another person were airlifted to a hospital in Tbilisi, about 75 miles from the resort. 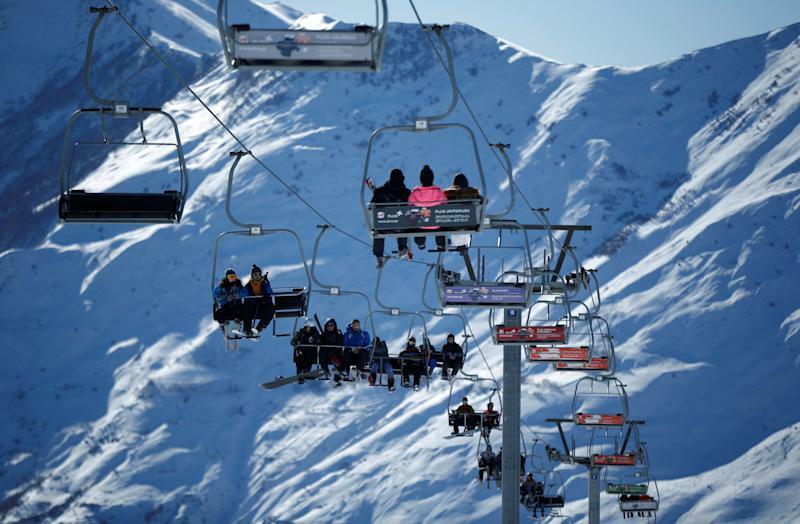 Mountain Resorts Development said in a statement on Facebook that the malfunction may have been caused by a rope on the chairlift, while the Economy Minister Dimitry Kumsishvili said it may have been caused by an “electricity outage,”according to The Guardian. A spokesperson for Doppelmayr Garaventatold the Telegraphthat it has sent employees to Gudauri to investigate and do not currently know what caused the incident.